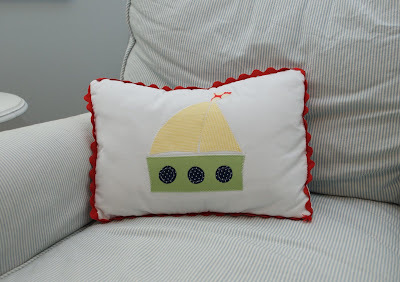 Several weeks ago I decided that I didn't like the polka dotted bumper that I made for the nursery - for boy OR girl! I know, I know...this pregnancy has made me so indecisive! 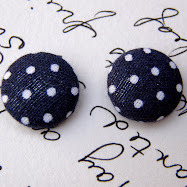 But it just wasn't my style and I couldn't come up with any artwork or accessories to coordinate with the polka dots. My wheels started turning on what to do. I definitely had to use what I already had on hand to come up with something because I wasn't going to spend any money not knowing what we are having. 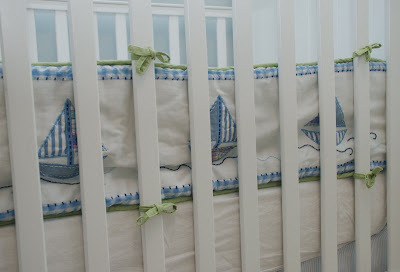 For a boy, I started with this PBK Sailboat bumper I had stored away in the linen closet from a bid I accidently won (don't ask!) on Ebay for $5 when I was pregnant with AC. 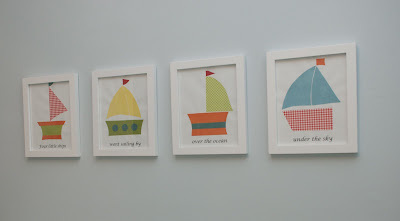 I saw some sailboat artwork on another friend's blog and used it as inspiration to create some artwork with scrapbook paper to hang over the crib. I used some fabric scraps to make a sailboat pillow for the rocking chair that coordinates with the sailboat artwork on the wall. Then I used some more fabric scraps, ribbon, and a large embroidery hoop to make this little fish mobile to hang in the corner of the room. 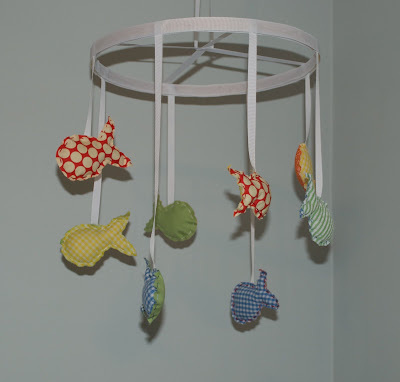 The mobile is hanging directly over the ac vent, which makes the little fish slowly spin every time the air is on. They are so whimsical and colorful and I love how they turned out! 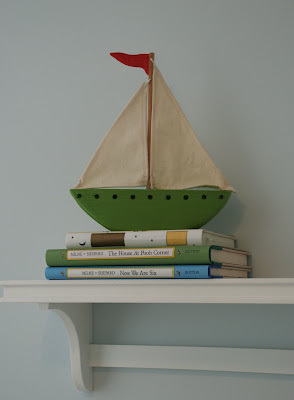 I also picked up this little wooden sailboat at Michael's for $1.99. I painted it and put it on the little shelf above the changing table. I haven't taken any pictures yet of the things I've done if we have a girl. Maybe I'll have time tomorrow and can post those soon. They are equally as cute and I'm really getting anxious to see what we are having! I love all the things you have done. They are great. I am looking forward to seeing what you have done if it is a girl. How stinking cute is all of that? I'm impressed. The fish mobile is my favorite. I bet a baby girl would like it just as much as a boy. Why not use it for both? I saw something really cute that I bet you could create easily enough since you're so crafty. I'll go see if I can find the link and I'll leave another comment if I find it. I found these while looking for the other idea but I couldn't find my original idea. Luckily, I saved pictures of them on my computer. 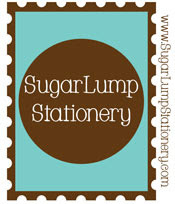 If you're interested, come to my blog and leave me a comment with your email address and I'll send you the pictures. love the mobile! I'm featuring it tomorrow on Crazydomestic.com. Thanks!